Last week was super productive for the blog. 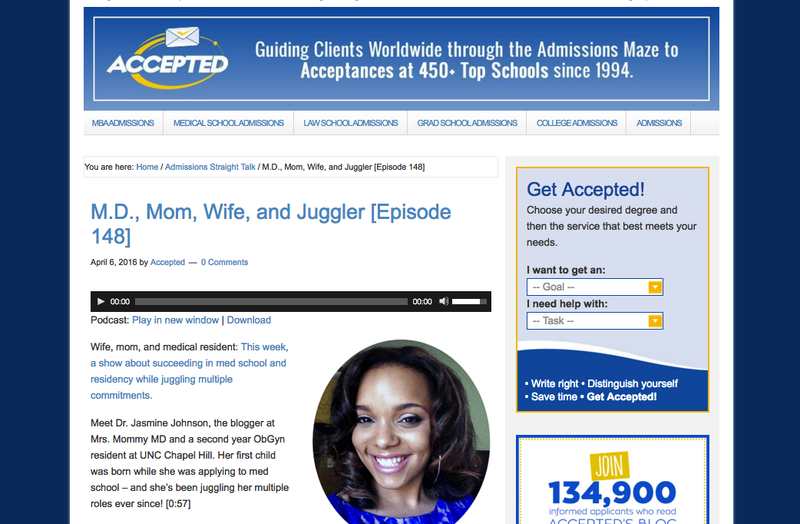 Not only did have a great time vlogging with Andrea Tooley, but I was interviewed Linda Abraham on the Accepted.com podcast. 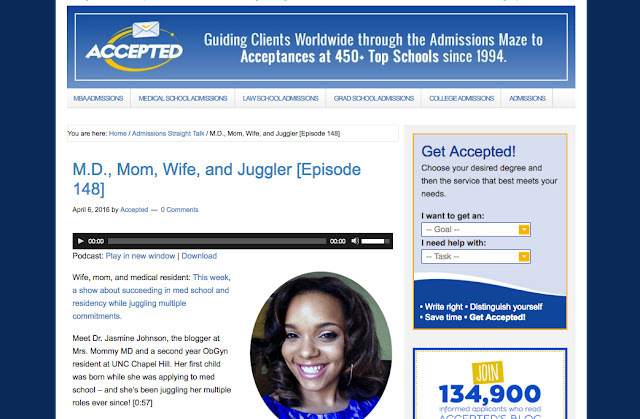 I've chatting with Accepted before about getting into medical school and applying for residency. Head over to the website and take a listen (link below). If you know any pre-meds, please forward it their way.